Here is my translation of a famous French folksong/lullaby from the seventeenth century, followed by the original French version (note that in the song each line is repeated twice). The best part of the original lyrics is the surprising last stanza, in which sleep, love and death seem to be subtly conflated. 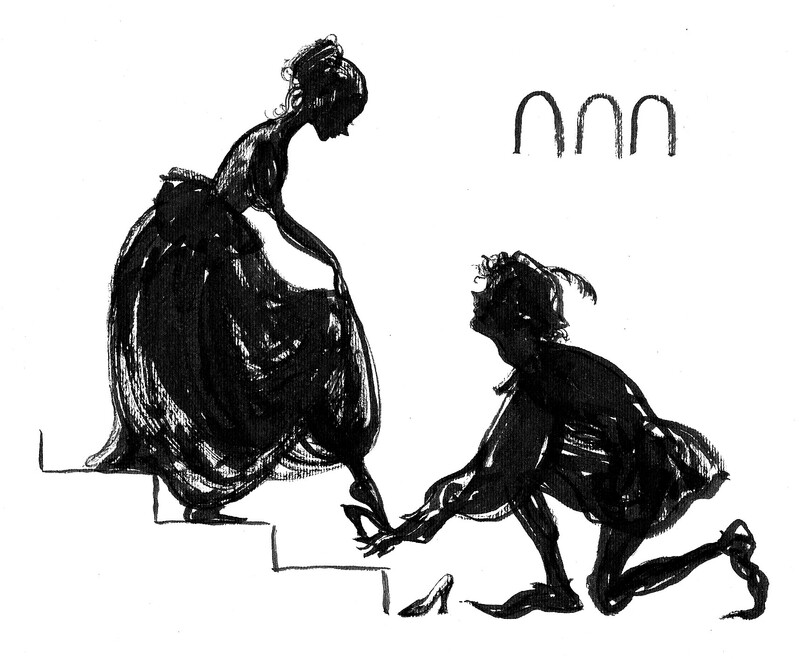 As an aside regarding my accompanying illustration, there appears to be some extreme sexual dimorphism going on between the couple’s feet. This entry was posted in Poetry, Poetry translation and tagged aux marches du palais. Bookmark the permalink. Thanks for the question. I am not the first to see a reference to death in the final allusion to a sleep –in a very deep spot- that lasts “until the end of the world” (at which time, according to certain interpretations of Christian doctrine, the dead will be resurrected and stand in judgement before God). I could add that the flowers mentioned in the original poem “pervenches” (periwinkle) are often planted in cemeteries. I would want to know why or where do you see the death in this poem?